Conflict of interest disclosure: I own 20 shares of Fitbit stock, which I purchased halfway through writing this review, on the hope that apparently strong Ionic sales would give the stock a boost. So far, that hasn't been the case. At any rate, the value of the stock is less than the cost of the device itself, so I don't think it compromises my objectivity, but you have been warned. 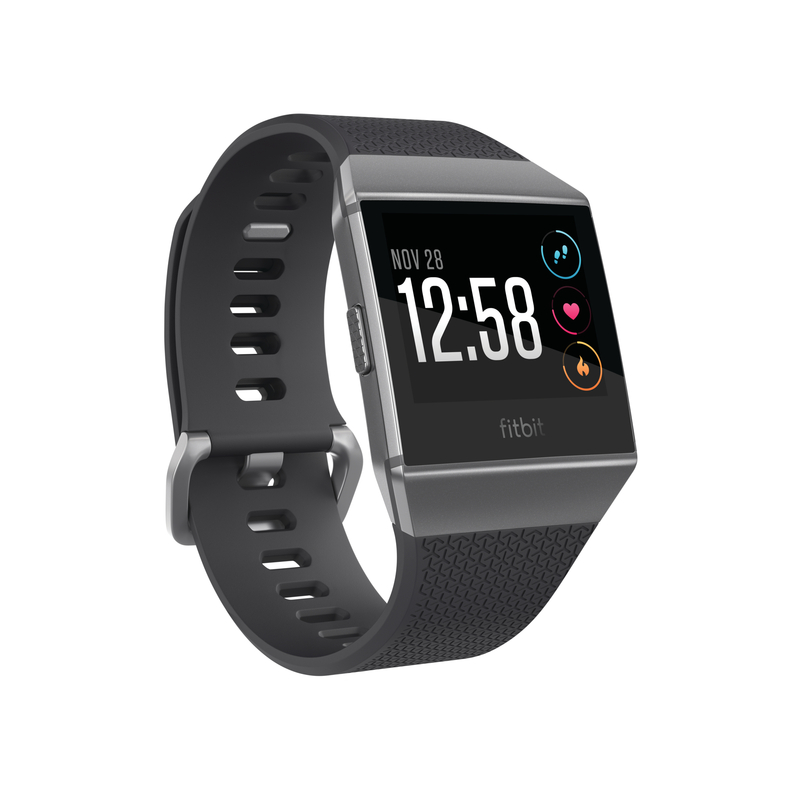 Fitbit recently released their first true smartwatch, the Ionic. After going through a phase of slight obsession in the lead-up to its release, during which I spent many hours watching preview videos and reading comparisons between the Ionic, the Apple Watch Series 3, and the Garmin Vivoactive 3, I ultimately decided to buy the Ionic. I've now had it for about a month, so this seems like a good time to review the device and discuss what I think it does well, and not so well. If you're looking for an in-depth review of the Fitbit Ionic with a particular emphasis on how it performs as a fitness tracker, I'd recommend reading DC Rainmaker's review. I'm not that serious an athlete, so I won't be going into depth about the GPS and heart rate accuracy, and really there's no need for me to do so, since DC Rainmaker has already covered those aspects of the device. This review is merely my own non-expert opinion of the device based on my own experience, with a bit more emphasis on the smartwatch features of the Ionic and how suitable the watch is for various types of users. Even though I don't consider myself a serious athlete, I did buy the Fitbit Ionic primarily as a fitness tracker, so I'd be remiss to not mention how the device fares in that respect. Indeed, I think it's fair to say that the Ionic was designed primarily as a fitness tracker, with the smartwatch functionality being somewhat secondary. In my mind, this puts the Ionic in a slightly different category than the Apple Watch—plus, the Ionic supports Android and Windows devices, whereas the Apple Watch does not. Unfortunately for Fitbit, competition in this market is extremely fierce, even if you only consider all the Android and Windows users that the Apple Watch can't reach. 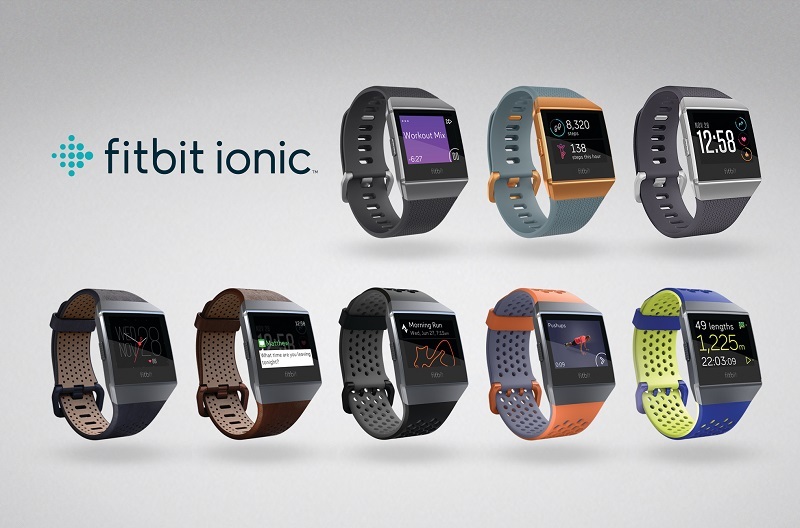 So, how does the Ionic perform as a fitness tracker? I think it's pretty good for the most part, but there are some noteworthy shortcomings that Fitbit absolutely needs to address in future software updates if they want to stay competitive. But let's start with the good parts. First of all, I've been impressed with the GPS. It connects quickly and consistently, and in my experience, the accuracy is pretty good for a wrist-mounted device. I have found that it tends to cut corners if you make sharp turns, which can result in runs appearing slightly shorter than they actually are, but the deviation is only about 50-100 meters over a 5km run. This is on par with the accuracy of other devices, and it won't be cause for concern for most people. Besides, in some cases that error will be averaged out by other noise. I got the new Fitbit Ionic a few weeks ago, and I'm generally pretty happy with the device. I'm in the process of writing a full review of the Ionic, but I realized partway through that I had written quite a lot about the SDK, which many people probably won't be interested in. Hence, I decided to make that into its own post. In the meantime, if you're looking for a review, I would recommend reading DC Rainmaker's. He's a much more serious athlete than I am, and he reviews fitness gear semi-professionally, so he's able to put the devices through much more rigorous tests and go into detail about things like heart rate and GPS accuracy, which I won't be doing. Anyway, the Ionic being Fitbit's first real smartwatch, I was eager to check out the SDK and dive into app development. And, well, I've tried to do so, but so far the results haven't been great. I think this is partly just because the platform is very new, and partly because of some questionable technology decisions that Fitbit made. Although it's too early to really evaluate the success or failure of the Ionic, or of FitOS an app platform, I think it can still be instructive to look at some of the choices that Fitbit made in designing the device and the OS, what effects they're having on developers now, and why I think they may prove to have been suboptimal choices. Battery life was clearly the foremost concern for Fitbit when they designed the Ionic, and the technology decisions reflect that. Whereas the Apple Watch series 3 has a dual core CPU with a maximum clock speed of at least 780 Mhz, 3D graphics acceleration, and a rumored 768MB of RAM, the Ionic contains the humble Toshiba TZ1201XBG, with a meager maximum clock speed of 120Mhz1. The battery life of the two devices reflects these hardware differences: the Ionic lasts 4-5 days on a charge, whereas the Apple Watch lasts a maximum of 2 days. Personally, I think this was a great choice by Fitbit. Although the Apple Watch is inarguably a more capable "smartwatch," its two-day maximum battery life is an absolute deal-breaker for me, which is one of the primary reasons I bought the Ionic instead. A few months ago, a family member of a friend of mine sent me an email asking for advice on pursuing a career in computer science. I enjoyed answering his questions, and I thought other aspiring computer scientists might have similar questions, so with his permission, I decided to reproduce my answers here. I've made a few edits here and there, mostly to remove personal information. I want to be clear up front that I've only been doing this professional for about six years now, and I don't consider myself any sort of expert on how to have a successful career. The path I've chosen has worked out pretty well for me so far, but it's not the right path for everyone, and in an industry that changes as quickly as this one does, it's always hard to know what students should focus on when they're still several years from graduation. What position do you hold at Microsoft and what is the scope of your work? I'm a Software Development Engineer working in Windows OS security. Specifically, my team and I have spent the last several years working on Windows Hello. We don't do the actual template generation or matching for biometrics (face/fingerprint authentication), but we own pretty much the whole stack below that, including basically all of the crypto and some parts of the UI and UX. The marketing for Windows Hello mostly focuses on the biometric aspect, but the feature is actually a lot more than that. Under the covers, Windows Hello provides key and/or X509 certificate-based login to domains and certain web services such as Microsoft accounts. In short, Windows Hello is more secure than using passwords, and you can get that benefit even if you don't have the hardware to do biometrics or don't want to use biometrics. We're working with industry standards bodies to specify and implement a set of web authentication APIs which will allow the use of key-based authentication technologies like Windows Hello with regular websites, which will hopefully eventually mean you won't have to have dozens of different passwords for each website you visit, or reuse the same password everywhere and risk having all your accounts get compromised. My day-to-day work involves designing and implementing features and improvements to make Windows Hello more secure and easier to use, and of course fixing bugs as they're found. Developers are also responsible for writing and maintaining automated tests related to their features. Personally my favorite part of the job is writing code, so I try to spend as much time as possible doing that. Product managers (PMs) are responsible for mapping out the requirements, but in practice it's a very collaborative process between PMs and developers, so there are often a lot of meetings to hash things out. Meetings aren't my favorite way to spend my time, but I am glad that developers get to have input on the way features should work. The balance between design and coding varies a lot depending on where we are in the release cycle; Microsoft still basically uses waterfall-style development. All of the code I write is in C++. On my team we make fairly heavy use of C++11 and C++14 (and soon C++17) features, which have really modernized the language and made it much nicer to deal with. Plus, trying to keep up with the latest additions to the C++ standard means I'm always learning new techniques and tricks, which is fun. Fallout 4 is the latest in Bethesda's revival of Black Isle Studios' beloved post-apocalyptic role playing series, and like its predecessors it has met with much praise and market success. But I find myself unable to quite grasp the popularity of the game, because also like its predecessors, Fallout 4's impressive scale and ambitious design are hamstrung by some major flaws in the execution. I keep forgetting to mention it, but this May was the fifth anniversary of this blog. Thus, it's time again for some housekeeping. Three years ago I stopped using Wordpress for my blog and moved it to Octopress. Octopress is a great blogging framework, but its current incarnation has some major shortcomings. Those will be fixed with Octopress 3.0, but 3.0 has been a long time coming, and due to the changing distribution model the work to move from 2.0 to 3.0 may be substantial. Plus, Octopress isn't the best fit for me because it's written in Ruby, which I don't know and don't have much interest in learning; I much prefer Python. In addition to being easier for me to use and contribute to, I'm really excited about Pelican's support for tags. Tagging will help organize my blog, especially since I've limited myself to having only a few categories since I'm committed to having a unique, easily-distinguishable color for each one. I'm also excited that Pelican has built-in support for translating articles, which I plan to take advantage of to practice the languages I'm learning. Check back in three years to see which new blogging platform I switch to next! Some of this post is adapted from a Facebook comment I wrote earlier in the year in response to this CBC article. Many of the statements in this post are conjecture based on my own experiences and perceptions; I do not claim that everything in it is broadly applicable. May of 2015 marked the beginning of my fourth year in the United States. Now that I have a green card and don't have to worry quite as much about saying the wrong thing and getting kicked out of the country, I wanted to take the opportunity to discuss what it's like to live here from my perspective. I was going to write "from a Canadian perspective," but of course, I don't speak for all Canadian immigrants. Before I started my career, I had never really planned to come to the US. I was only part of the way through my senior year at the University of Alberta when I happened upon a Microsoft recruiting booth at a career fair. Microsoft was the only real technology company present; most of the others were oil and gas companies, that being what Alberta's economy is primarily based on. I left a resume with them, not really expecting much to come of it. As it turned out, I did get a call back (which I almost missed—funny how such small events can result in drastic changes in one's life). A few weeks and several highly stressful interviews later, I had signed a job offer. Shortly after I graduated, my wife and I were on a plane to Seattle. Even at that point, I didn't really expect to live in the States for more than a year or so. My goal was primarily to get a "marquee company" on my resume (a piece of advice a friend and former colleague gave me) and then use that as a bargaining chip to get a better job back home. But now it's been more than three years, and not only am I still here, but I no longer have plans to leave in the foreseeable future. Windows 10 represents the obvious future of PC operating systems. It makes Mac OS X feel old-fashioned, stuck in a time where The Desktop was a thing that mattered and the only way to access the Internet was through a browser. So the question finally presents itself: should you upgrade your machine to Windows 10? Yes, you should. The best part of Windows 10 is that it ends the cycle of good and bad in favor of something great. It's nice, for once, to be able to recommend a new version of Windows without any hesitation. If you are on a PC at all, Windows 10 is where you want to go. That it is free—for now—only makes the point simpler. If you haven't already done so, you can follow the instructions here to get your free upgrade. It's very exciting to have played a role in the creation of the latest and truly greatest version of Windows; I think this is a huge achievement for Microsoft, and I'm happy to have been a part of it. The real reward, though, is seeing people use and enjoy Windows 10—and that starts today! Bloodborne is the spiritual successor to From Software's Demons Souls and Dark Souls series, and its pedigree is clear right out of the gate. Upon starting the game, you'll enter the character creation menu and be asked to choose from a number of classes with different stats, but will be given almost no explanation of what the stats mean or how they affect gameplay. If you're a Dark Souls veteran, you can make some educated guesses, but new players will be completely on their own. After a short introductory sequence, you're thrown into an open world replete with buildings of impossible scale, which stretches vast, seemingly endless distances in each direction. You're completely on your own to make your path through this world, and there's no obvious "correct" route; in fact, a friend and I found different bosses first, because we had taken different routes from the start. If this experience sounds like it might be frustrating for new players, that's because it absolutely can be. Even for veterans of the series, the complete lack of guidance can feel punishing at times. And yet, I can't stress how much I absolutely love it. The freedom not only to explore, but to truly discover the workings of the world, and to make mistakes, is what made the Souls series what it was, and Bloodborne continues this legacy. The game pays homage to times past, when games didn't hold the player's hand throughout the entire experience, and it does so with such expertise and craftsmanship that none of its contemporaries can compare. Like its predecessors, Bloodborne adeptly balances challenging and sometimes frustrating gameplay with frequent rewards and other powerful motivators: the prospect of discovering something new, of overcoming the next challenging boss, of finding the next area, or of glimpsing another thread of the world's deep backstory. These enticements work so well because of the depth and imagination with which the world is crafted. There's a constant sense of cataclysmic urgency, but you won't truly understand it until you take the time to piece together all of the subtle clues placed throughout the world. Bloodborne gives you very little to go on, but it trusts you to have the fortitude and curiosity to work things out for yourself.